Decades Event Center~ 1208 Grand Ave ~ West Des Moines ~ 5:30 p.m. The Orchard Place Spelling Bee is a one of a kind event where teams can literally pay for their mistakes and win for more than spelling! Along with competing for Best Speller, teams compete for most creative team name, best team costumes, best team cheering section, and most bribe money raised. Competition is fierce! Join us for this zany event that raises money for Orchard Place and our youth mental health services in Iowa! Individual tickets are now available for $10 for those who want to come and watch the fun! Click HERE to order your tickets! Grand Champion Spellers & Best Costumes Award! 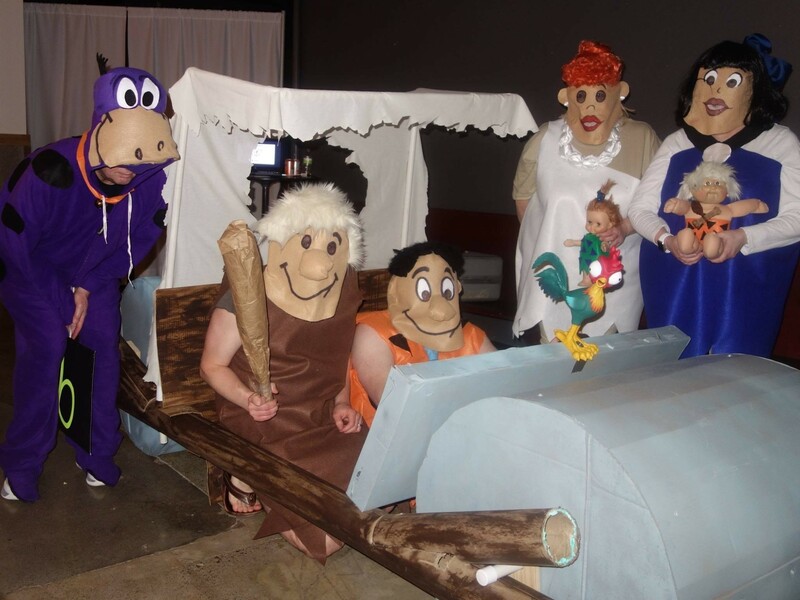 CONGRATS to Fred Flintstone and the YaBEE DaBEE Doos! Orchard Place's Corporate cavemen and women took home the Best Spellers Award at last night's 15th Annual Spelling Bee. After a fierce spelling slug out with Orchard Place Campus, and with both teams out of bribery funds, the championship came down to actually having to spell (what a novel concept!) to win this year's zany anything-goes event! After four rounds, the YaBee DaBEE Doos prevailed, spelling the word 'temerity' correctly. 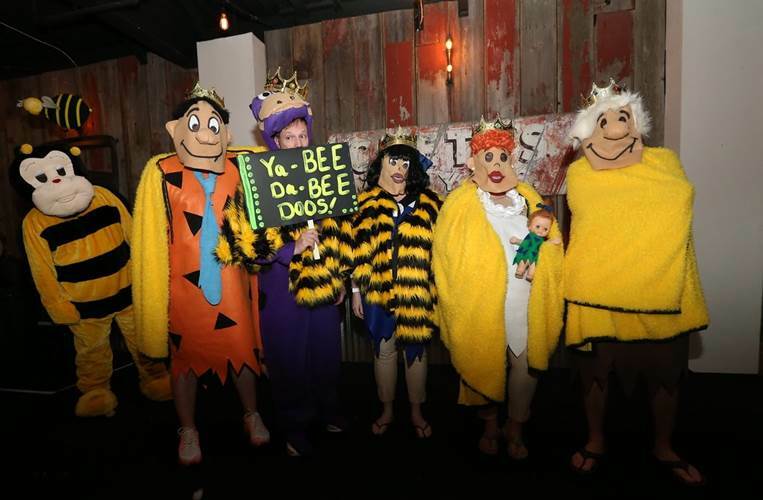 The YaBEE DaBEE Doos were also awarded the Best Costumes Award this year. Team members included Chris Walters, Karen Lindquist, Michelle Lamb, Craig Williams and Adam Peters. 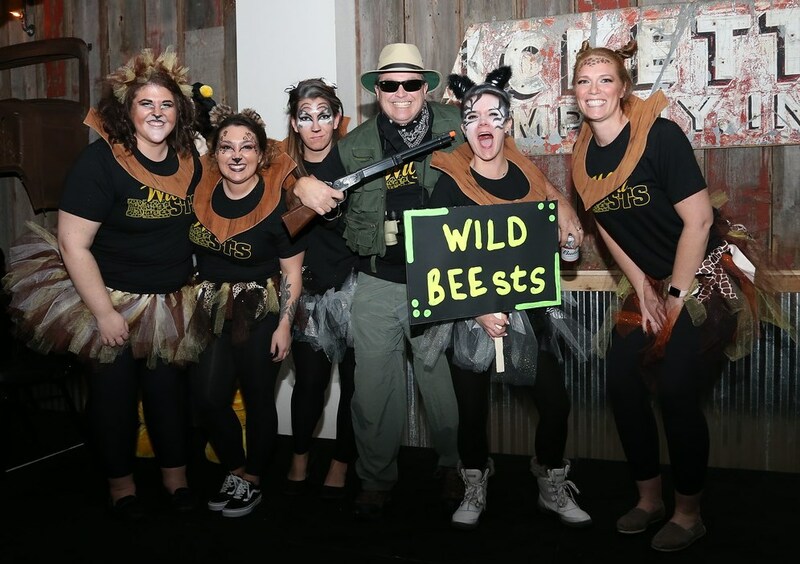 Congratulations to the Orchard Place Campus 'Wild BEEsts' team for their fundraising prowess and recipient of the Most Money Raised Award last night. With cash and checks falling out of their Beastly costumes, the team strutted on stage with more than $14,000 in bribery funds to their name! The team was also awarded the new People's Choice Award by the audience for their awesome effort and just beeing such good BEEsts for Orchard Place kids! Hats off to team members Brandi Mulder, Alex Kaas, Lindsay Porter, Matt Peters, Staci Mease and Ashley Siglin! 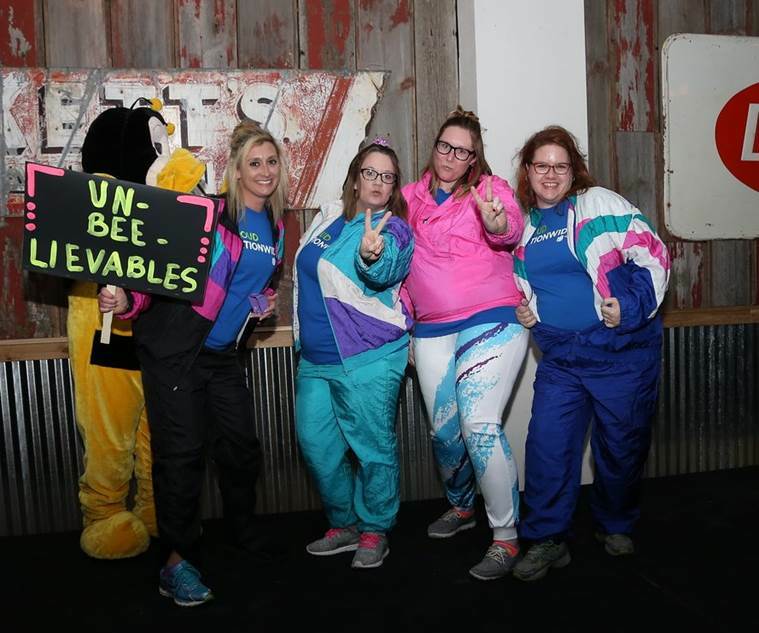 Presenting sponsor Nationwide's 'Un-BEE-Lievables' rowdy entry was awarded the coveted Best Cheering Section award for their loud and boisterous chanting and cheering all night long! The judges seemed to take great delight in their chants, and happily congratulated them on the award. Team members included: Stephanie Meling, Jamie Knowx, Heather Brant and Katie Blaha. Best Team Name and Bumbling Bee Awards! 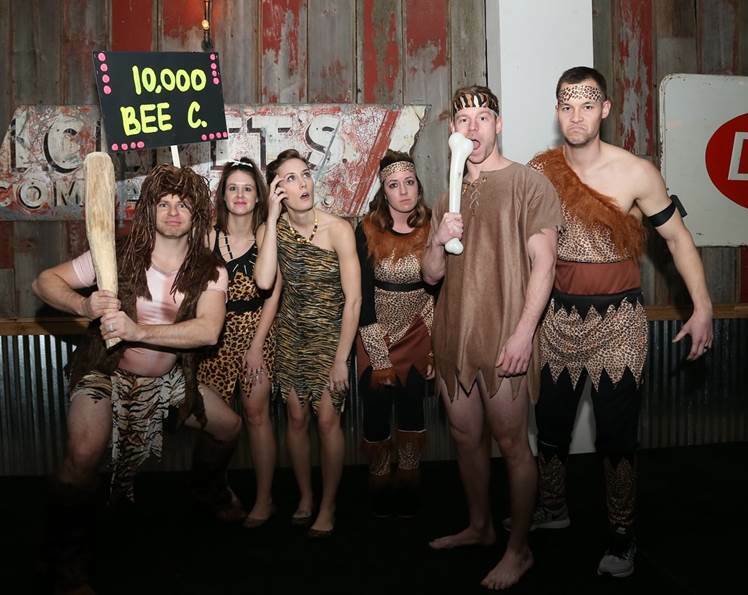 Best Team Name - Principal's '10,000 BEE C.' team headed up by Operating Board member Josh Ingalls and his friends who crawled out of their caves from the stone age to compete last night and took home the Best Team Name award. Their profound inability to spell got them cut from the competition early in the evening. Nonetheless, they were proud to take home the Bumbling Bee Award again this year for being the worst spellers in the land, and the first team cut from the shenanigan-filled evening. Team members included: Josh and Brianna Ingalls, Jacey and Stephen Smith, Melanie Rodrigues and Jordan Whittenburg.